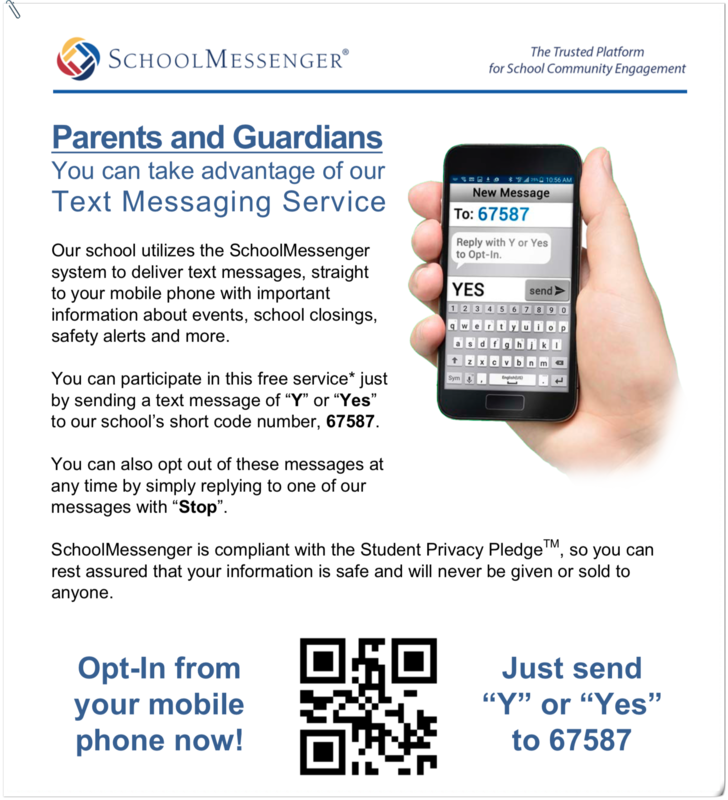 The district will be using the SchoolMessenger system to deliver the text messages, straight to your mobile phone, with important information about events, school closings and delays, safety alerts, and more. If you do not wish to receive text messages from the district, simply do not reply to the opt-in invitation. To stop receiving texts at any time, text STOP to 67587.